Rolls/shafts upto 20 inch diameter for plate bending machine. 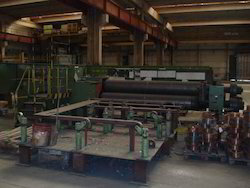 We can manufacture ready to fit rolls for machines. Please send in your requirements. Pree pinch Plate bending roller is use for automatic plate roll and accurecy purpose. Alignment of slip roll maintain very well and it can up down by handle or motorised. One shot rolling can be done if diameter of pipe is big. You can bend or roll minimin diameter of plate in this type of plate bending roller. 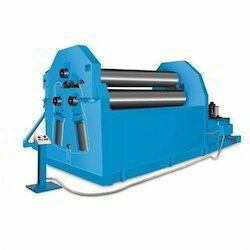 With the valuable assistance of skilled team of professionals, we are engaged in manufacturing an extensive range of high quality Plate Bending Roll Machine.